The dietary supplement MICROBIANE Q10 AGE PROTECT overcomes natural deficit helps fight against free radicals and contributes to good cellular energy production. Coenzyme Q10 is a substance our cells, specifically the membranes need to produce energy and protect it from oxidation. With age, there was a significant decrease in the concentration of Q10, which is why Laboratories PILEJE provide you with the dietary supplement MICROBIANE Q10 AGE PROTECT which overcomes the natural deficit to fight against free radicals and contributing to good cellular energy production. 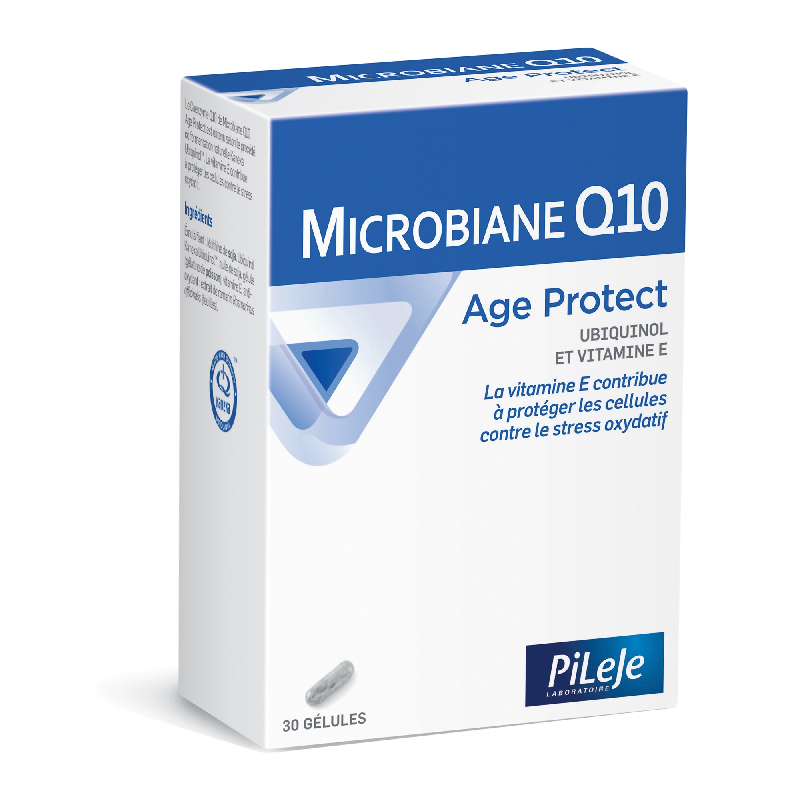 Food Supplement MICROBIANE Q10 AGE PROTECT Laboratories PILEJE is specifically for over 55 years, which helps to protect the cellular system against the effects of oxidative stress. Coenzyme Q10 is a molecule that is found in all cell membranes in the body, particularly in the heart and lungs. Its concentration increases the first 20 years of life and decreases variably according organs. This molecule is known for its strong antioxidant properties and its ability to provide energy to the cells. - 5 mg of vitamin E (50% of recommended daily intake) per capsule: recognized as effective in responding to situations of deficit doses. Complement MICROBIANE Q10 AGE PROTECT offers over 55 the perfect amount of Q10 and more absorbed by the body to fight against cellular aging. During one month, daily swallow 1 capsule per day. This specific form of coenzyme Q10, has a bioavailability suitable for people over the age of 55, in order to optimize the energy necessary for cell renewal system. 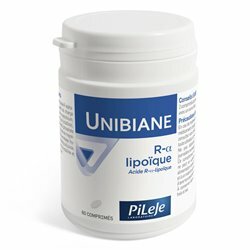 This antioxidant, reduces the formation of free radicals and reduces the damage of the cellular system. This plant extract preserves the action and quality of active ingredients in the dietary supplement, by an antioxidant action. Emulsifier: soy lecithin, coenzyme Q10 (ubiquinol), medium chain triglycerides, gelatin capsule (fish gelatin, color: titanium dioxide), vitamin E, an antioxidant extract of rosemary Rosmarinus officinalis (leaves).